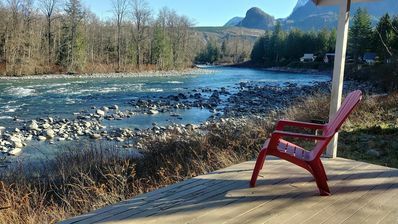 Escape the hustle and bustle of city life and treat yourself to a wilderness retreat at 'Skykomish Vida Chalet,' a 2-bedroom, 1-bath vacation rental chalet. 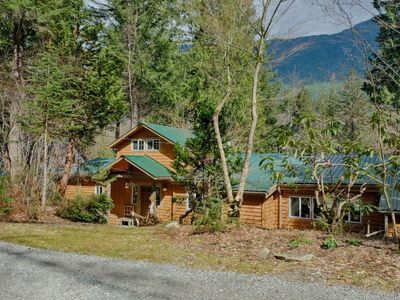 Nestled aside the South Fork Skykomish River, this property includes sleeping for 5 plus a private hot tub and gorgeous mountain views. 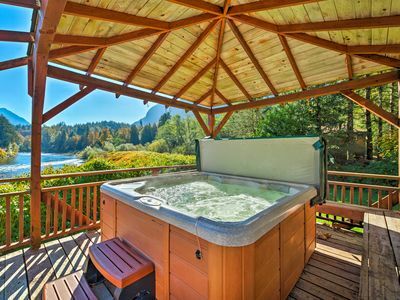 Come stay with us, explore seasonal outdoor recreation for the day, then come back and relax in the hot tub. 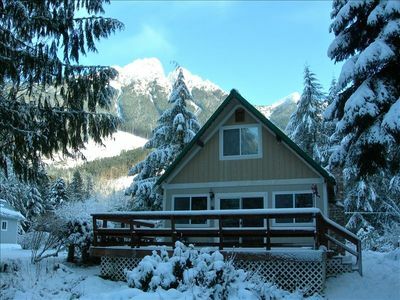 Additionally, the home is just a short drive from Wallace Falls State Park and Stevens Pass! 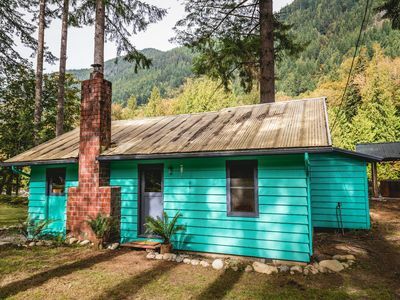 Cruise along the scenic roads of Washington to discover 'Skykomish Vida Chalet!' 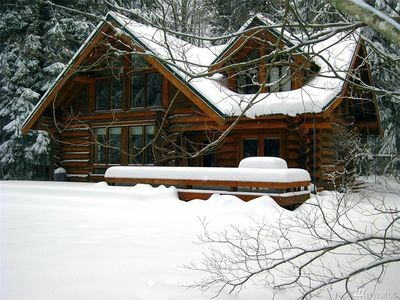 This light-filled abode offers all the comforts of home, from the several modern conveniences to the cozy furnishings. Kick back and relax in the living room to watch some TV while the fireplace warms the room. When you get hungry, get to work in the fully equipped kitchen, fully stocked with all your culinary essentials. 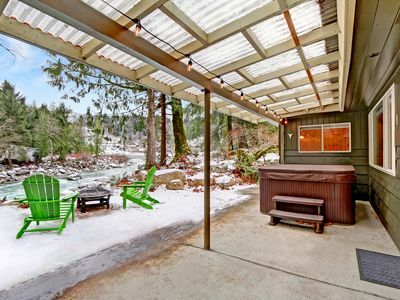 After all is prepped and ready, eat at the dining table while admiring breathtaking views of the river and mountains! 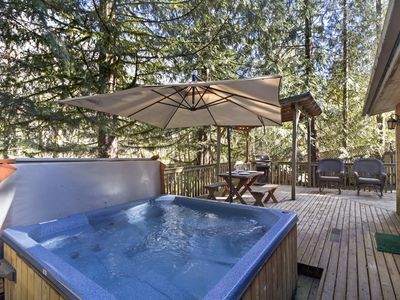 At dusk, melt your worries away in the private 6-person hot tub and watch the sun set over the horizon. 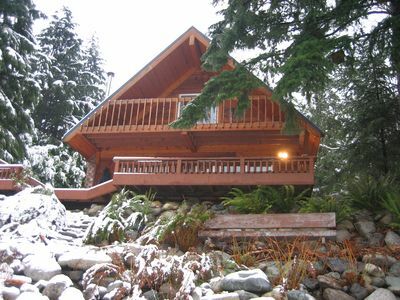 After stargazing, take solace in one of 2 bedrooms for a peaceful slumber while others sleep soundly in the living room! Climbing, river rafting, fishing, and hiking are popular, area activities in the summer and you'll enjoy easy access to them all! 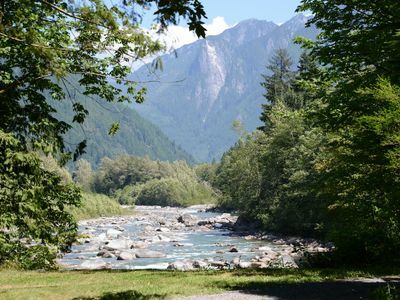 Head to South Fork Skykomish River where you can fish and kayak to your heart's content. If you're new to the whitewater scene, book a rafting or kayaking tour with the Outdoor Adventures Center! Those who prefer adrenaline on dry land will love spending the day rock climbing at the Lower or Upper Town Wall near Index. 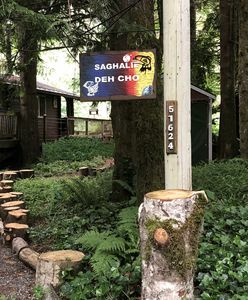 Explore more of the immaculate natural surroundings when you hike the trail to Bridal Veil Falls and Lake Serene! 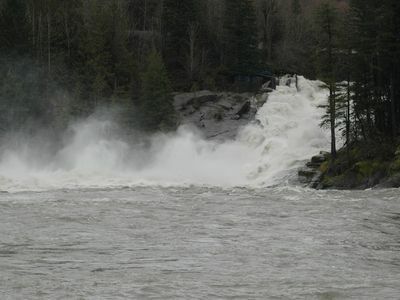 You'll also want to visit Wallace Falls State Park with hiking, mountain biking, fishing, and snowshoeing. 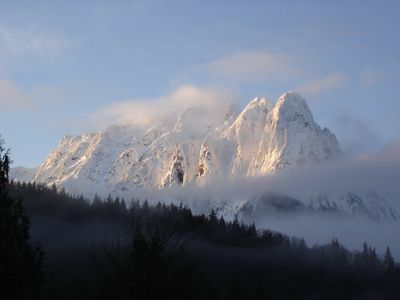 In the winter, drive just under 30 miles for a day of skiing at Stevens Pass Mountain Resort. When you don't feel like cooking, head into Gold Bar for a bite at Wallace Falls Cafe, La Hacienda, or Mountain View Diner. 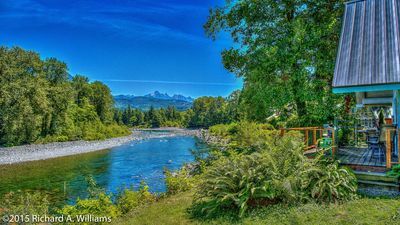 Other nearby small towns include Skykomish, Sultan, and Monroe. 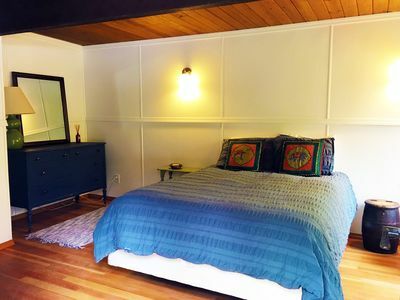 - Amenities include a fully equipped kitchen, flat-screen satellite/Smart TV, free WiFi, an electric wall heater, gas fireplace, linens, towels, in-unit laundry machines with detergent, a private hot tub, ample parking, and more! 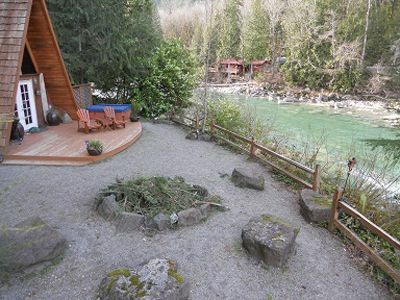 Stunning Views at Wild Sky Escape w Beach Access! 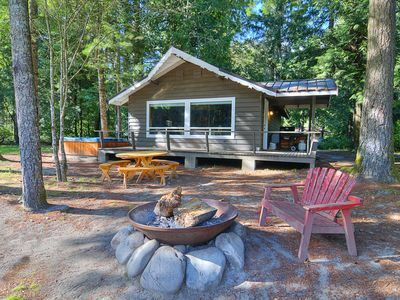 Perfect for a Small Family or Romantic Getaway! You have fallen off the face of the earth and into Paradise! 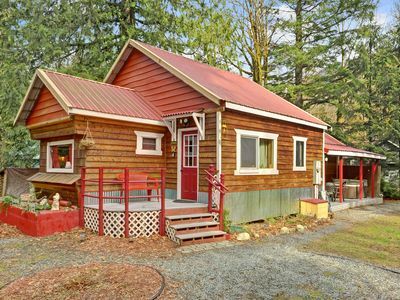 Cute Pet-Friendly Mountain Bungalow w Hot Tub, Huge Yard, WiFi, Close to River & 20 Min to Stevens! 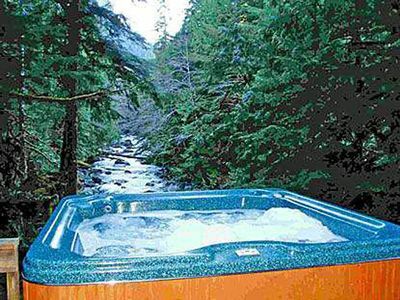 Riverfront Cabin w Hot Tub near Sunset Falls! 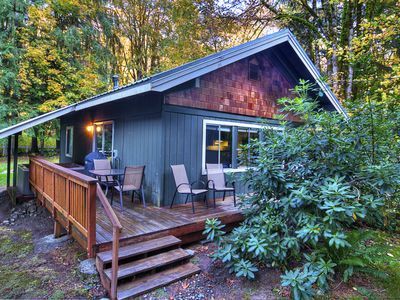 WiFi, Cable, Movies & Board Games, Fire Pit, Perfect Couples Escape! 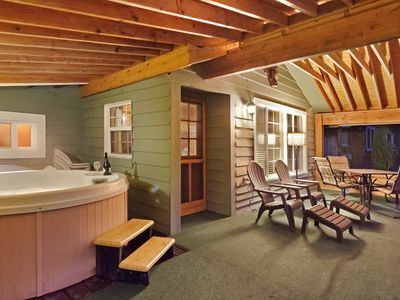 Romantic and stylish riverfront retreat with hot tub!